Congrats to Martina, Sarah and Giorgia! 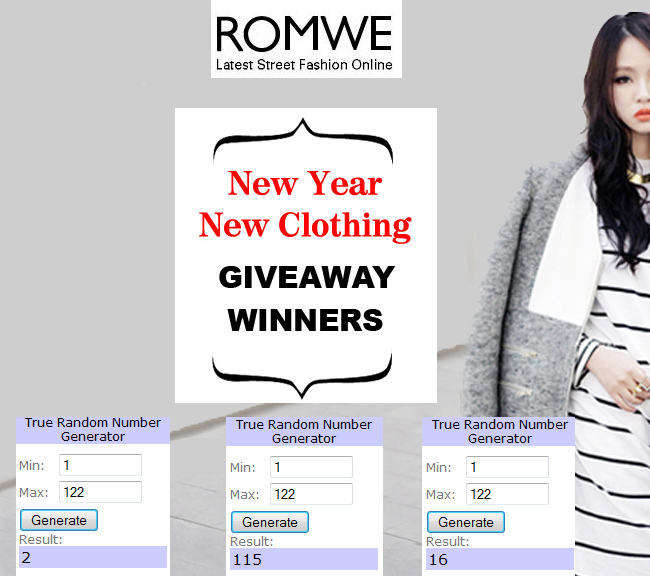 You will all win 3 pairs of tights from Romwe, plus a $30 gift voucher to use on the Romwe site! Romwe will contact you soon. Thank you so much to everyone who took part in this giveaway! If you didn't win, no worries, there are more giveaways to come!